You guys gave me some amazing suggestions! 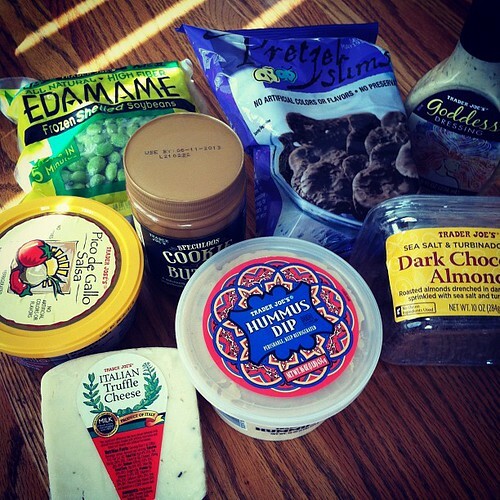 I've been working my way through a few at a time during each visit to Trader Joe's, but here's the list in its fullness for you to enjoy. I am apparently not the first to ask this question!